Part 1 of 6. "God!" Story by Jim Starlin. Art by George Perez, Joe Rubinstein and Tom Christopher. 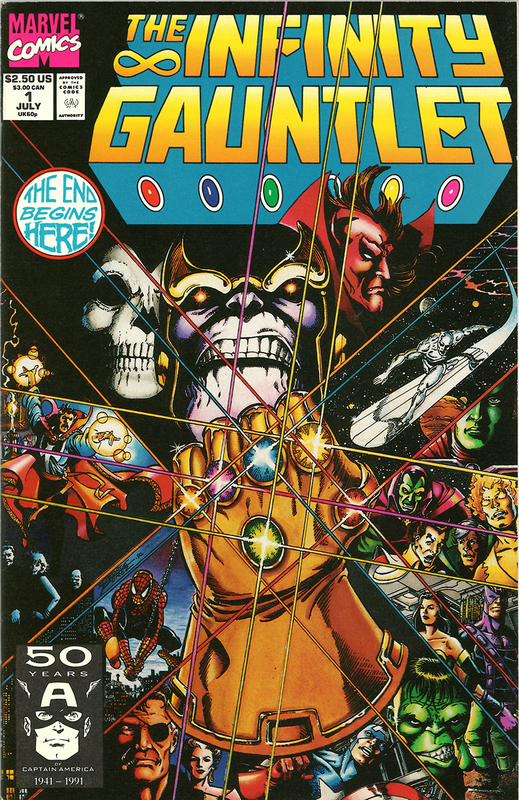 Story continued from Thanos Quest #1-2 and Silver Surfer (1987-98 2nd Series) #50. This copy will be double-boarded in a mylar sleeve and placed in a plastic toploader. Estimated grade is vf/nm..